The wet weather has some party coordinators in Trashi Yangtse worried. They fear if the rain continues, it would cause roadblocks and prevent people from making to the polling stations to cast their votes. 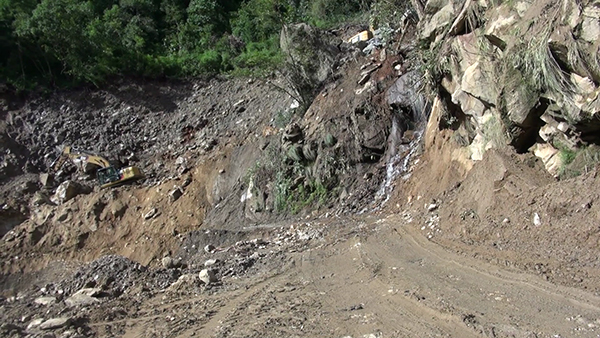 They are particularly worried about the Doksum-Trashi Yangtse highway. The 30-kilometre road is being widened. The widening works began in June this year. When it rains, its condition worsens. The Department of Roads (DoR), however, assured smooth traffic flow on the poll day. “We clear the roadblocks along the highway immediately. For the poll day, we will deploy machinery to ensure smooth traffic flow,” Letho Dorji, the Executive Engineer of DoR in Trashigang, said. The Kholongchhu Hydro Energy Limited (KHEL) has committed Nu 170 M for the road widening project and the construction of three bridges along the Chazam-Trashi Yangtse highway. The DoR has released Nu 30 M so far. The widening works are expected to be complete by April next year.